KATHMANDU, March 16: In view of the upcoming May 14 local elections, the Judicial Council (JC) on Wednesday deputed 255 under-secretaries to work as returning officers for various local government units. A meeting of the JC decided to deploy the officers on deputation following requests from the Election Commission (EC). 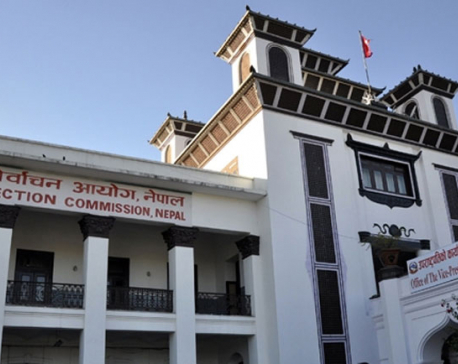 The election body had requested the JC to provide enough legal officers to handle the elections, stating that it requires 744 returning officers, who would be responsible for the overall election management of the assigned local government unit. The JC, however, deputed fewer officials than demanded by the election body considering the compulsion of operating court affairs during the elections. Chief Election Commissioner Ayodhee Prasad Yadav said that they have already requested the Ministry of General Administration to deploy additional returning officers for the elections. “The law has a provision to deploy civil service officers if the government fails to arrange returning officers from the judiciary. We will follow the law,” said CEC Yadav. The EC, which is busy in internal preparations for the elections, is preparing to deploy returning officers to the districts soon. The chief district officers in the districts will have to bear the dual responsibilities of coordinating the overall elections in their districts and conduct the polls of local government in their surrounding areas. The EC has decided to assign dual responsibilities to the chief returning officers thinking whether it can reduce the number of required returning officers. “We have set April 29 as the date to file candidacy for local elections. They will be deployed on the ground to make poll preparations before beginning the poll preparations,” said EC Spokesperson Surya Prasad Sharma.